When the session is complete, a simple touch to the home button and confirmation tap brings the app to the reports function. A touch to the red arrow beside the student’s name brings up the data for that session. The data includes: date of practice, target phoneme at which level, percent accuracy and number of words attempted. In addition, there are buttons for “recordings,” “words,” and “notes.” Tapping on recordings brings up the student’s recordings during that session. The Words button provides a list of the words attempted that session and the Notes button brings up any notes that may have been written about the session. Articulate it! has a “settings” button on the home screen and in the app. The settings button allows the user to turn on/off: transition sounds, written word display, random images, word source, moving forward automatically, and displaying the results on the screen. Articulate it! also creates backup data in iTunes which will allow it to be restored if for some reason the app needs to be deleted or a new iDevice is purchased. Articulate it! was designed to assist in articulation therapy by utilizing technology to present words and phrases to students while collecting data. Because Articulate it! is a multi-user application it can be easily utilized for group articulation sessions. Articulate it! can be set up to allow data to be collected on multiple utterances of each word allowing high frequency articulation drill to be used for maximum therapy benefit1 without losing the ease in data collection. Alternately, Articulate it! can be set to automatically move forward with a single tap to allow maximum word exposure. Placement of the written word and phrases for each picture allows the SLP to incorporate a literacy component into therapy. Articulate it! is certified by The REMLE Project to adhere to evidence-based practices and, based on the results of the study, effective in treatment of the triad of impairments.The easy data collection provided by Articulate it! encourages use with RTI. The multi-player component allows students in RTI and on IEPs to be in the same therapy session. The individual student data collected each therapy session is saved in chronological order allowing for ease of progress monitoring. The busy SLP or educator can see at a glance the phonemes targeted, position targeted, and overall accuracy. In addition, the app allows data to be exported to the Therapy Report Center for easy report writing and integration with other speech-language goals. I really appreciate the phrase option. It is such an important level and usually left out of apps. The sentences are also good - not too long. Nice to be able to switch between levels at any time. I have a couple of suggestions that would make it even better, in my opinion. In addition to the Right and Wrong buttons, we need an Approximation button. It is so important that we not crush their little spirits by constantly having to be "wrong'" especially if they are trying hard. Next, the selection of words in each area is very nice and long. It would be really nice to be able to save word lists for individual students to avoid having to do it each time. If that option is there, I can't find it. Overall, a great app with nice features. April 2018 - I'm still disappointed that after all the updates and improvements, an option to save lists has not been incorporated. This is a major problem because it takes too much therapy time to go through hundreds of words and select a list for each student only to have it be gone when the session is over. Everything else about this app is amazing. I like this app because it includes not just the consonant sounds, but also common phonological processes, which is an advantage over many other apps. 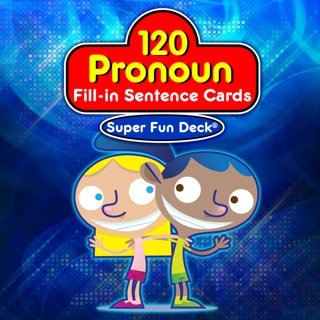 However, this app does not have the ability to save the stimulus words i have selected for a child. So, I was sad when I spent 8-10 minutes selecting from several hundred words for final consonant deletion to have them disappear when I closed the app and came back to it, that my selections were not saved. this took some of the functionality away, and considering I have 50 kids or so, I need to be able to set up this app and save it for the next session, because the same kid will be working on the same words. Developers, please fix this so SLPs can give it a higher rating! I have been using this app as my go-to artic app for over a year now. 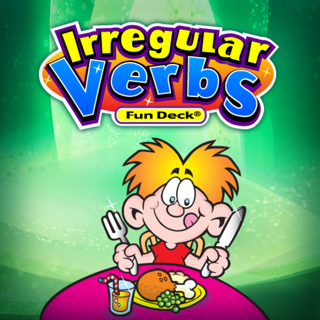 I loves the fun themes, the options for phrases and sentences, and the options to choose phonological processes. Most sounds have a good variety of pictures, and I love being able to choose the number of syllables in target words. One things I would love to see in the app is more variation for /r/ and categories for the vocalic /r/ variations. This would be so helpful and time saving for all of the /r/ kiddos out there! Also, I second some of the other reviews in that it would be very helpful to be able to save specific words to certain kiddos. Other than those two things, I love this app, especially for the price!